Reprogram your powerful subconscious mind to feel calm, safe and protected. In this guided meditation, Katharina will help you strengthen your energy system and ground your root chakra. Once you are deeply relaxed, you will get powerful positive affirmations that will directly go into your subconscious mind. With positive affirmations and powerful subliminal messages for making fast changes. The stories, affirmations and meditations in this audio have all been created using the most advanced positive psychology together with cutting edge technology to help you easily and comfortably make all the necessary changes required to reprogram your nervous system to achieve a calm state of mind. I feel safe in my body and the world because I am. 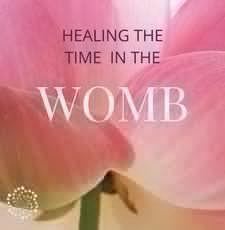 Included are also subliminal messages with the above healing beliefs. Subliminal messages are especially useful to reprogram your powerful subconscious mind as the subconscious accepts suggestions and affirmations the easiest when they are barely audible. This is the fastest and way to effortlessly change your brain and reprogram your mind to stay calm and centered. Katharina will also guide you to help you strengthen and protect your energy system. This is a method you can use anytime throughout your day whenever you feel anxious or stressed. Audio recording with Brainwave entrainment (Binaural Beats) as background music. By listening to the recording through headphones, your brain will be able to shift quickly from stress mode into blissful relaxation. Audio recording without music. If you prefer to listen to the recording without background music, or want to play your own, this version is for you. A subliminal message is an affirmation or message below the normal limits of human auditory perception, below the conscious threshold of hearing. However, it is audible to the subconscious or deeper mind. It is tested in psychological studies that Subliminal messages gain their powerful ability to influence from the fact that they may be able to circumvent the conscious awareness and its critical functions. For example, your conscious mind might reject a belief like “I am safe” because of your life experience. However, your subconscious mind does not have a critical function and therefore will willingly accept this new belief. This holds especially true when you are deeply relaxed. The subconscious mind is 95% more powerful than your conscious mind and by positively influencing it, you can make fast and quick changes in your life. Use this audio to effectively and quickly reprogram your subconscious mind to stay calm. 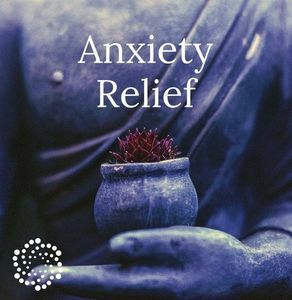 If you suffer from anxiety and get stressed quickly, this is one of the easiest and effective ways to reprogram your brain to not look for danger but to feel calm and relaxed instead. In order to make lasting and quick changes, it is best to listen to the recording once a day for four weeks in a row. I love it! It is great! Thank you Dr. Katharina! I am very grateful for this audio meditation. It is soothing and enjoyable. With the background music, I find that I can listen to it every night, so I am sure to get the benefits. I find the meditation to be soothing. 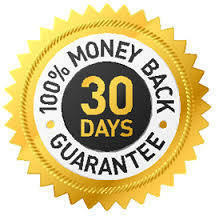 It is still to early to tell the long term benefits but I enjoy them and find them easy to engage in, which I have not found with anyone else’s meditations. I have done this meditation about 7 times so far and it really helps. I even think of the affirmations randomly throughout the day. I definitely have a lot of work to do to reprogram my way of thinking and lower my anxiety but I am now more aware of when my mind shifts to worrying or negative thoughts which I can then stop right away. I have a rapid emotional clearing in 10 days with Dr. Katharina and I cannot wait. I would recommend this meditation, especially for people who have busy minds like me. It’s super easy to focus and the bineaural beats really help. I agree with the previous reviews. It is a very relaxing and calming meditation. And I look forward to increased benefits with continued use. This is life changing. I listen to this before bed and it truly helps me drift into a calmer and more grounded place. It resonates with me on all levels. Thank you Dr. Katarina! Love this meditation! I also listened it together with my son and he enjoyed it just as much! 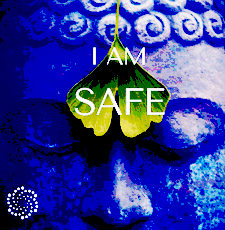 I am enjoying “I am Safe” and the positive messages within this meditation. 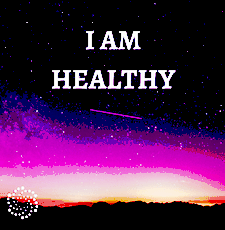 I purchased “I am healthy” and “I am safe” at the same time, and have been very pleased with both. 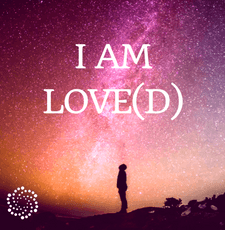 If you are a fan of Louise Hay, You Can Heal Your Life, the main concept is that positive messages can have a significant impact on our health, our attitude, and how we cope and adjust to situations that might be out of our control. I find that the messages in Dr. Katharina’s “I am safe” help to calm me down and reduce my anxiety. Thank you for making this meditation Dr. Katharina!